Operating electronically, this advanced throttle system features an activity-specific Touring, Sport and ECO modes that can all be set to accommodate your riding style. The result is a more responsive, more intuitive ride. The hull is made of Polytec material, a recyclable, low density and high-impact composite material that includes polypropylene and long glass fiber reinforcements. It was designed to maintain the structural integrity of the watercraft under stress while providing light yet durable parts to support the construction of the product. 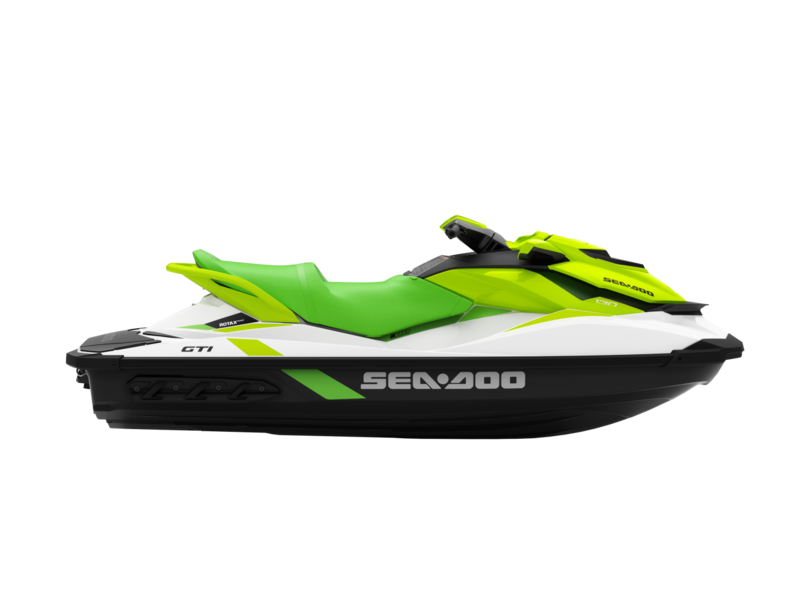 Comfortable room for three – permits rear-facing spotter for watersports and features waterproof, UV resistant material for additional durability. Fuel level, Tachometer, Speedometer, Touring mode, Sport mode, ECO mode, Hour meter and more. ROTAX 900 HO ACE The compact and lightweight Rotax 900 HO ACE incorporates impressive fuel economy for more time on the water and less time at the gas station with crisp acceleration and an excellent power-to-weight ratio. LIGHTWEIGHT AND HIGH-STRENGTH This innovative material reduces the weight of the watercraft to deliver peak performance even with smaller engines and making it easy to tow with most sedans. Plus, the color-in molding makes it more scratch-resistant than fiberglass. FRONT STORAGE The largest storage space in its category* (30.8 US gal. / 116.6 L) lets you store plenty of gear. *Manufacturers' websites. Based on similarly priced models. 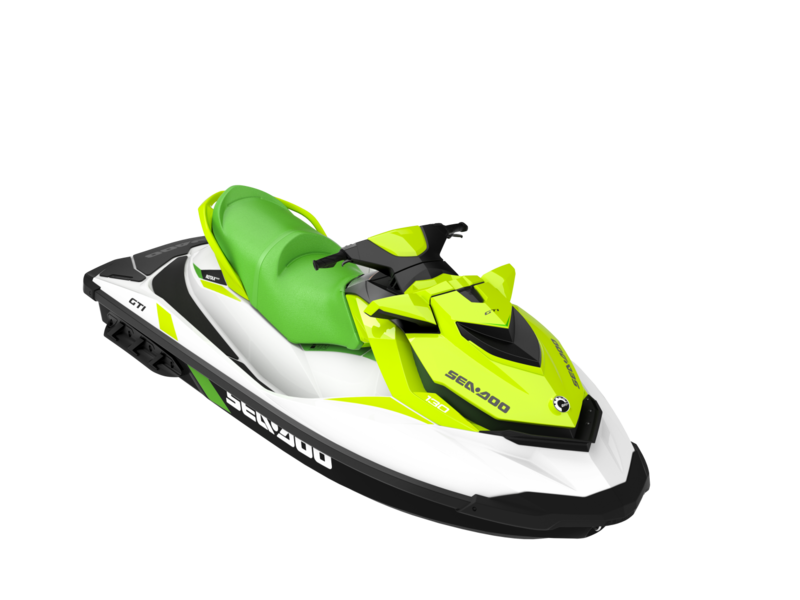 INTELLIGENT BRAKE AND REVERSE (iBR) Recognized by the U.S. Coast Guard for improving boat safety since 2009 and now in its third generation, the Sea-Doo exclusive iBR (Intelligent Brake and Reverse) system allows you to stop up to 160 feet (48 m)* sooner than watercraft not using a brake. With both hands on the handlebars, riders can engage forward, neutral, and reverse for stable, worry-free maneuvering at low speeds. *Based on BRP internal testing. INTELLIGENT THROTTLE CONTROL Choose how you want your power delivered thanks to different riding modes such as Sport and ECO. ANTI-THEFT SECURITY SYSTEM AND iCONTROL LEARNING KEY A Digitally Encoded Security System unique to your watercraft that serves as an effective theft deterrent. Learning Key also limits speed for beginners.